In this article I talk about two common influence techniques, compliance and conformity. 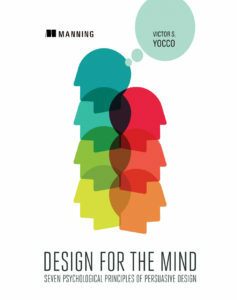 Take 37% off Design for the Mind. Just enter code fccyocco into the discount code box at checkout at manning.com. We use websites and mobile devices as platforms for delivering designs that leverage social influence. We know word of mouth is one of the best ways to convince others to try our product. People trust the recommendations of friends and family. We also know that others are more likely to purchase products with positive reviews. This article will cover two common influence techniques: compliance and conformity. Martin is 19 years old, looking for more information on local beers. He navigates to the Dogfish Head Brewery website to look at the beers they are brewing. Martin immediately encounters a warning telling him that all visitors need to be 21 years old and asking him to enter his birthdate. Although no one is around to force him to be honest, Martin enters his correct birthday because he believes that is what he should do. He then receives a message informing him he isn’t old enough to enter the website (Figure 1). Martin demonstrated compliance with Dogfish Head’s request that he enter his correct birthday. Figure 1 Dogfish Head and other American breweries ask users to comply with their request for verifying users’ ages, prior to granting them access to their website. Compliance is when someone agrees to do something they are asked to do, because they realize the people asking them have an expectation that they will engage in the correct behavior. Peer pressure to consume drugs or alcohol is a negative example of compliance. Someone taking time for daily exercise because their friends ask them to meet at the gym is a positive example of compliance. One key piece of compliance is that you actually ask someone to engage in the task; compliance does not rely on passive attempts to influence behavior. Ron uses iTunes to purchase a new album his favorite band has just released. After the purchase is made, iTunes surfaces more album recommendations based on the purchasing behavior of the users who bought the same album Ron bought. Ron explores some of these albums, and decides to purchase some of the songs recommended. Apple has influenced social conformity in Ron’s behavior. Figure 2: Apple uses conformity to encourage additional purchases on iTunes when they show what other users have bought. Individuals engage in conformity when they do something based on group or societal norms. Unlike compliance, these norms are often unstated. Individuals assume this is how they should act. For example, most people don’t need to be told they shouldn’t eat a sandwich while using the toilet. This is something they assume based on observation over the course of their life. When entering a brand new situation, say going to an art museum for the first time, most individuals will see how others are behaving and then model their behavior after what they see. Conformity is extremely powerful in that it can prevent individuals from engaging in certain behaviors, and it can promote other behaviors in individuals without much (or any) additional effort. Compliance has a negative connotation. People don’t want to be pushed around or told what to do by overbearing salespeople. You can design for compliance in a way that enhances your users’ experience without being off-putting. Compliance is about how you ask your users to do something. In order to get our users to comply with what we are asking, we need to be straightforward about what we want them to do. If you want your users to purchase or use your product, you should be straightforward in how you ask. Users will respect you for that. You shouldn’t attempt to force people by using veiled threats or use any type of buried text that most users overlook. For example, Hertz car rental (Figure 3) forces users to sign up for their marketing emails if they want to have their car rental confirmation emailed. Your users won’t appreciate gaining compliance through this type of manipulation and would probably unsubscribe to the next email they receive from Hertz. 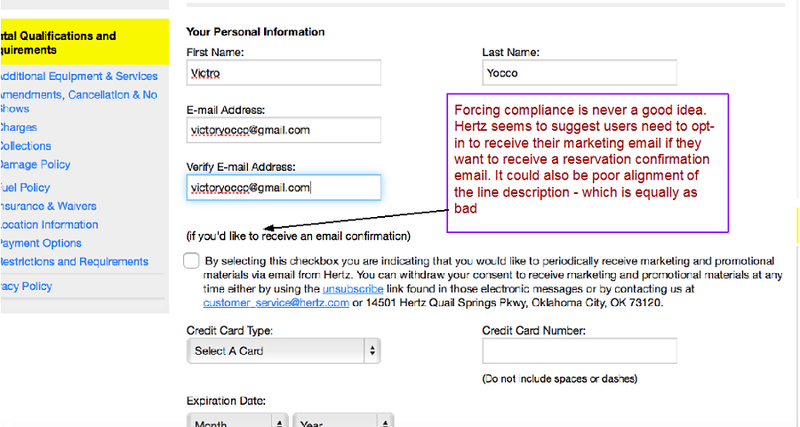 Figure 3 Hertz forces users to opt in to their marketing email if they want to receive email confirmation of their rental reservations. Compliance is also about when you ask your users to do something. You should ask users to engage in a behavior after you have created a good experience and given them an opportunity to use your product. People are more likely to comply after realizing they have an interest in, or will benefit from, use of your product. Door-in-the-face – This technique involves asking users to make a large commitment to your product and then reducing it to a smaller ask if they say no. For example, you could ask users to purchase the full license for your product after they have given it a 10-day free trial. Generate an email that offers them another 30 days of using the product at a discounted price. Offer them a reduced price for a limited functionality version of your product. Ask users to do something small like tweet a promotional message you have created for your product. Follow up with users that do, and ask them to write a positive review about your product. You should look for opportunities to incorporate both of these compliance techniques into the experience of your product. You should also reward customers that comply without the need for using one of these techniques. For example, you could provide a discount to a user that commits to making an immediate purchase of your full product, or you could extend their license for a couple months free of charge. This rewards your low-maintenance customers and can also activate reciprocity at a later date. You should look for opportunities to incorporate both of these compliance techniques. You should also reward customers that comply without the need for using one of these techniques. For example, you could provide a discount to a user that commits to making an immediate purchase of your full product, or you could extend their license for a couple months free of charge. This rewards your low-maintenance customers and can also activate reciprocity at a later date. Keep in mind that it is a good policy to state upfront what you want your users to do. 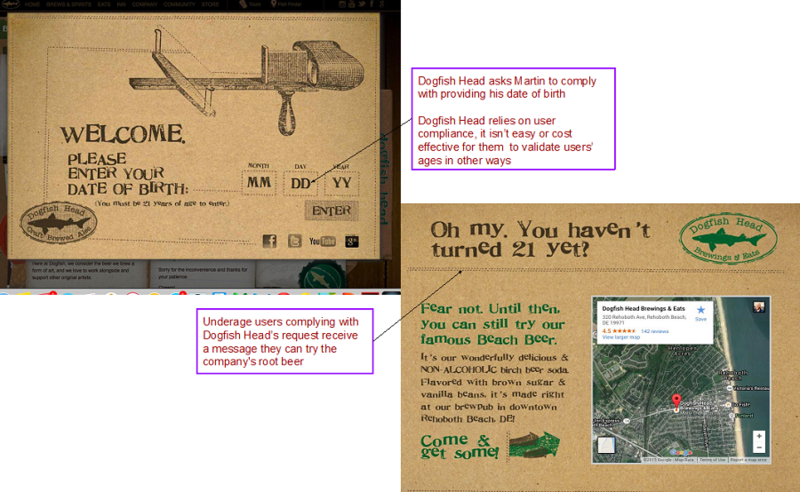 For example, Dogfish Head told users they had to be 21 and they asked them to comply with providing their date of birth. Conformity focuses on socially acceptable behaviors. Your design should highlight how use of your product is in-line with the social groups that potential users belong to. 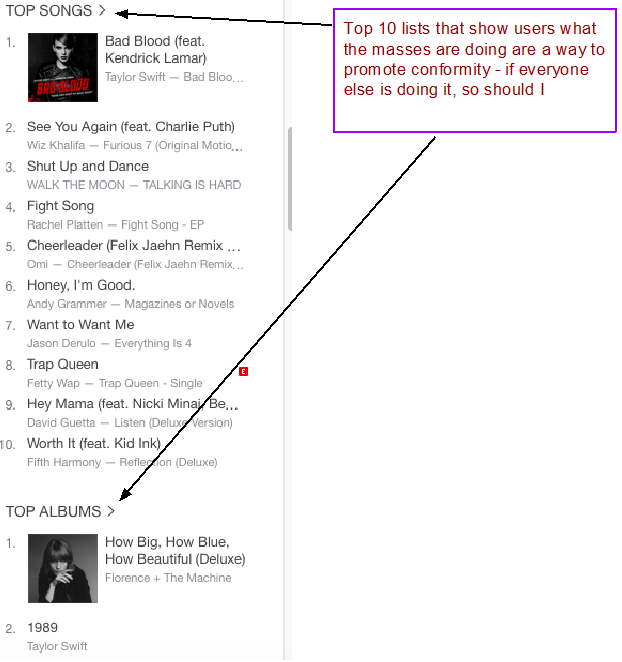 Apple does this in their iTunes application when they display the top 10 albums and singles users have downloaded (Figure 4). A user logging in and seeing those lists is likely to explore some of this music if they think others are doing the same. Apple’s top 10 lists also serve to suggest to users that many people are using iTunes to download popular music – enough that their purchases can be categorized into lists. iTunes will also show recommend music based on affinity analysis – recommendations based on what others who have made similar purchases have gone on to buy. Figure 4 Top 10 lists are a great way to use conformity to encourage users’ exploration of your product. You should identify opportunities to use a similar method as Apple to encourage conformity. Are there ways you could also display a top sellers list that shows users that your product is among the top of your field? Perhaps you can include a list of the top features of your application user’s access. This would encourage other users to explore these areas. Affinity recommendations (recommendations based on relationships between users). Feeds/updates showing what others are doing. Create pages where members of these groups can engage in a discussion about your product – similar to Facebook’s page. It’s important to consider how your design influences people to use your product. Compliance and conformity are two influence techniques you should use in your design. Compliance involves individuals agreeing to do something because they are asked to do it. You design for compliance when you ask a user to engage in a task. Conformity involves an individual following what others are doing. Your design accounts for conformity when you show users what others are doing. You can practice addressing each of these influence techniques in your design, pulling in the elements that are most suitable to your users. If you want to learn more about the book, check it out on liveBook here and see this slide deck.